Bel Canto was founded by John Stronczer in 1991 in Minneapolis, Minnesota. John’s expertise in integrated mix signal design and passion for live music has steered him towards creating the most engaging musical playback experience. 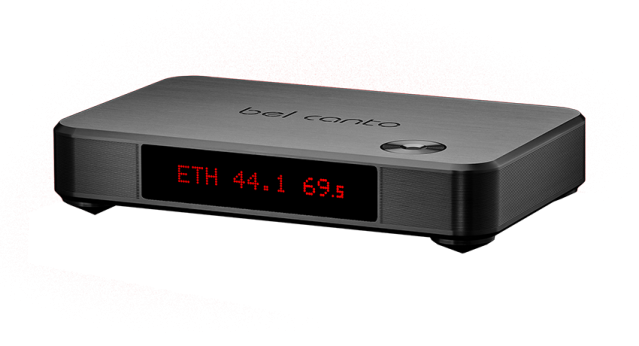 Every Bel Canto product begins with a high-level idea that goes through extensive development and proof of concept, which leads to an optimised design that improves ergonomics and performance. Using advanced technologies and only the highest grade materials, Bel Canto’s highly experienced team is dedicated to ensuring every component is built to the highest standards. The ACI 600 integrated amplifier was the first product to introduce MQA support.